Why Choose Training In Electrical? 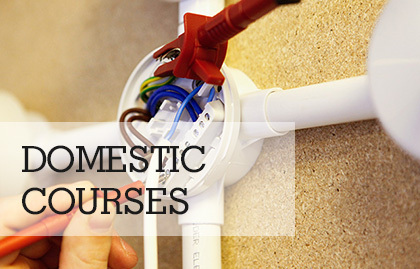 All of our electrical courses are delivered by highly skilled, experienced electrical staff that have an enormous wealth of practical knowledge and qualifications in the electrotechnical industry. Every member of our team have enhanced CRB checks, hold professional teaching qualifications and possess the appropriate Assessor Awards to make sure that you receive the best learning experience possible. We are a QCF Approved Training Centre and we are registered with Ofqual who regulate qualifications, examinations and assessments in England and vocational qualifications in Northern Ireland. We know that some people just can’t get time off work or have other commitments during the day, that’s why we now offer a full range of popular electrical courses delivered at the weekend and in the evening. From previous experience we know how popular these classes are, so why not take advantage of qualifying with us at a time that suits you. We always listen to our students and we are constantly developing our training to make sure your experience with us is enjoyable and successful. We have excellent success rates with our electrical qualifications and our learners have given us 100% positive feedback. We are always happy for you to see our facilities before joining one of our courses. Here at Training in Electrical we pride ourselves on being a sustainable company and care about the environment in which we all live. Why not read our sustainability policy for more details? Our team are always happy to deal with any enquiries in a friendly, professional manner and will always support you during your time with us. If you have any questions why not give us a call or request a call back? Our two training centres are ideally located in the East Midlands area. We cater for candidates from all over the UK and offer outstanding facilities, all in a relaxed friendly environment. Both of our training centres have easy access by road, rail or tram and if you’re thinking of staying over there are plenty of guest houses and hotels close by. Looking for evening or weekend courses? If you're new to the electrical industry or are thinking of changing your career, Training in Electrical are here to help you to succeed. 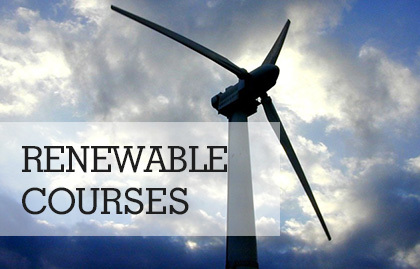 Each candidate who enrols onto any of our electrical courses will receive comprehensive course notes prior to the commencement of the course. 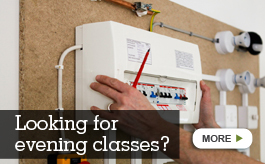 Why not view our full range of electrical qualifications presently offered as weekend or evening options or call our friendly team who will be happy to advice you on forthcoming classes. Our classes are intentionally kept small so you have the opportunity to fully understand all of the course content at a more relaxed pace. 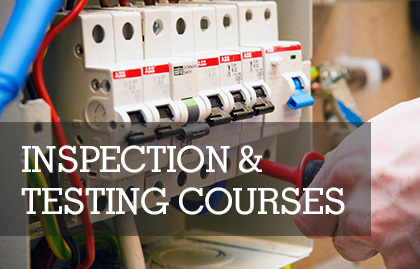 We are committed to delivering quality training at all levels, so you can develop your knowledge and skills to become a competent electrician.